Dr. Bukrinsky obtained medical degree (M.D.) from the 2nd Moscow State Medical Institute in Moscow, Russia, and a doctorate (Ph.D.) in Molecular Biology from the Engelhardt Institute of Molecular Biology, Russian Academy of Sciences, Moscow, Russia. Currently Dr. Bukrinsky is Professor of Microbiology, Immunology and Tropical Medicine in the George Washington University School of Medicine and Health Sciences. He has published more than 150 scientific publications and is a named inventor of 12 issued U.S patents. 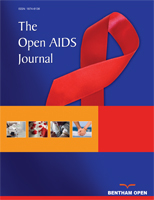 Dr. Bukrinsky is currently the Editor-in-Chief of this journal (Open AIDS Journal), published by Bentham Science Publishers. Dr. Iordanskiy obtained his doctorate degree (Ph.D.) from the Moscow State University of Education and The Ivanovsky Research Institute of Virology, Russian Academy of Medical Sciences. He is presently serving as an Assistant Professor of Pharmacology and Molecular Therapeutics at Uniformed Services University of the Health Sciences, The F. Edward Hébert School of Medicine. His research focuses on the molecular mechanisms of expression of retroviruses, including HIV and human endogenous retroviruses, and cellular response on retroviral expression. Dr. Iordanskiy has authored/co-authored over 40 scientific publications, including research articles, reviews and book chapters. Prof. Georg MN Behrens is Professor for T Cell Immunology at Hannover Medical School and was trained in research and internal medicine in Hannover and Melbourne. He is an expert on HIV-therapy, related metabolic side effects and co-morbidities. His group is involved in clinical and basic research for advancing HIV therapy and he is president of the German AIDS Society. He is reviewer for international journals in immunology and infectious diseases and is in the Editorial Boards of AIDS, Antiviral Therapy, HIV Medicine and Experimental Biology and Medicine. Prof. Magnus Gisslen is Professor / Chief Physician in the Department of Infectious Diseases at Institute of Biomedicine, University of Gothenburg, Sweden. His research areas include Basic Medicine (Pharmaceutical Sciences, Pharmacology and Toxicology, Neurosciences, Microbiology in the medical area, and Immunology in the medical area), and Clinical Medicine (Infectious Medicine). Dr. Gisslen, as an author/co-author, has published more than 130 articles in various journals, having a very noteworthy number of total citations, i.e. over 4,065. Dr Rey obtained a medical doctorate (M.D.) from the University of Strasbourg, France, and is presently medical chief of the Center for HIV infection care at Strasbourg University Hospital. He also holds a Research Director Habilitation, and did a one-year post-doctorate round at Stanford University Hospital, California, USA. He has published more than a 100 scientific publications, and has been involved in several clinical trials, mainly with the « French Agency for Research on AIDS and Viral Hepatitis ». He specifically worked on hepatitis B vaccination in the field of HIV infection. Mariantonietta Di Stefano BSc, PhD. Molecular virologist PhD in Virology in 1997 at the Microbiology and TumorbiologyCenter, Karolinska Institute, Stockholm, Sweden She worked on several aspects of HIV (phenotyping, sanctuary sites, neurotropism, antiviral resistance, sexual and vertical transmission), HHV 8 and Hepatitis virus infections. Assistant Professor of Infectious Diseases, University of Foggia, Italy. Vijayakumar Velu (PhD) is an Assistant Professor at the Yerkes National Primate Research Center, Emory University. During his postdoctoral training at Emory, his research focused on the development of therapeutic strategies to enhance immune response during chronic SIV/HIV infection. He demonstrated PD-1 blockade results in enhancement of both cellular and humoral immune responses that lead to decreased viral levels and enhanced survival of a SIV infection. His current research focus is to understand the basic biology of anti-viral T and B cell interactions for generating effective cellular and humoral immune response after vaccination and following HIV/SIV infection. Mario (Mago) Clerici graduated from medical school at the University of Milano and trained for more than 6 years at the NIH in Bethesda, MD; in the meantime he received a PhD in internal medicine. He became an associate professor of Immunology at the University of Milano in 1993 and was promoted to full professor in 1999. In 2009 he was called to coordinate the research arm of the Don Gnocchi Foundation, a network of research hospital in Italy. He has been directing the PhD School in Molecular and Translational Medicine at the University of Milano since 2008. He authored more than 500 papers (>30,000 citations; H index=80), has been awarded National and International prizes, has been knighted (“commendatore”) by the President of the Italian Republic, and is one of the most cited immunologists worldwide (http://www.highlycited.com). Dr. Julio Martín-García obtained his Ph.D. degree in Biochemistry and Molecular Biology from the Universidad Autonoma of Madrid (Spain). He joined Drexel University College of Medicine in 2005, where he is currently Associate Professor in Microbiology and Immunology, and a member of the Institute for Molecular Medicine and Infectious Disease. His HIV research focuses on various aspects of host-virus interactions, always in the context of primary cells. Specifically, his laboratory investigates the macrophage tropism and neurotropism of HIV-1, the complex interplay between HIV-1, Toll-like receptors and microRNAs, and the induction of cellular senescence in the context of HIV-1 infection. He has authored/co-authored over 25 articles, having approximately 1,190 total citations. After obtaining B.Sc. (1974-76), MBBS (1977-82) and MD (1985-87), Dr. Sarman Singh did a PG course in epidemiology from University of Michigan, Ann Arbor, and a fellowship from Chicago (1993-94). He then joined the premier All India Institute of Medical Sciences, New Delhi in 1988, and continued as Professor of Clinical Microbiology & Molecular Medicine. His research areas are Tuberculosis, Leishmaniasis, and Toxoplasmosis. Dr. Singh has 8 patents, 330 peer-reviewed publications and 46 book chapters to his credit. Michael Stürzl worked as a research group leader at the Max Planck Institute of Biochemistry and the Helmholtz Center Munich and at present is Professor for Molecular and Experimental Surgery at the Clinical Center of the Friedrich Alexander University of Erlangen, Germany. His research interest is on the mechanisms through which virus infections lead to the reprogramming of host cells, with a specific focus on Kaposi’s sarcoma-associated herpesvirus and the vascular system. He has authored more than 180 publications in high ranking journals and has obtained prestigious awards for his research, including the Irene Vogeler Award of the Max Planck Society, the German AIDS Research Award and the Biofuture Award of the German Ministry of Education and Research. Alan Winston is a Professor of HIV and Genitourinary Medicine at Imperial College and Consultant Physician at St. Mary’s Hospital, London, UK. He has an MD in antiretroviral clinical pharmacology and his research focuses on non-infectious co-morbidities associated with HIV-disease in the modern antiretroviral era, with a strong focus on central nervous system complications. Professor Winston qualified from Glasgow University and undertook training in general medicine and HIV medicine in the UK and Australia. He leads the HIV and GU clinical trials unit at St. Mary's hospital which runs over 20 studies at one time. Dr. Sebastian Noe graduated from Medical School in Munich, Germany, and finished his training in endocrinology and diabetology at the University Hospital of the Technical University of Munich. Since 2015 he’s been working at MVZ Karlsplatz, HIV Clinical Care and Research Center, specializing in the management and treatment of people living with HIV and clinical trial research. His particular area of interest are the endocrine aspects of HIV medicine. Dr. Lianne A. Urada is currently an Assistant Professor in College of Health and Human Services, School of Social Work, California State University San Diego and in Division of Global Public Health, & Center on Gender Equity and Health, Department of Medicine, University of California, San Diego. She did Bachelor of Arts in Psychology from University of California, Los Angeles in 1991 and Master’s Degree in Social Welfare from University of California, Los Angeles in 1993. In 2011, she became Doctor of Philosophy in Social Welfare from University of California, Los Angeles in 2011.